We had 90 people come to the Long Lake Area Association meeting on June 30th. Barb Roberts organized the registration very well and everyone was registered with ease. There were 47 families registered at the meeting this year. Click here for a list of all our door prize winners. The Association made available AIS related items such as coasters, sponges to "Clean, Drain & Dry" boats, and PVC tubes to place at docks for sampling zebra mussels to families in attendance. Also there were free trees to prevent soil erosion - potted pines from the White family. Thank you to Betty Larsen for the great refreshments and the festive decor, too! Thanks to Monika Wilkens for the great story ending with the aurora borealis over the lake to lead off the meeting. And last, but certainly not least, thank you to Jason Durham, our speaker from Go Fish! Guide Service, for entertaining us with his stories and sharing his fishing expertise. The LLAA board page on this website has been updated. Please click here to see our new board of directors. 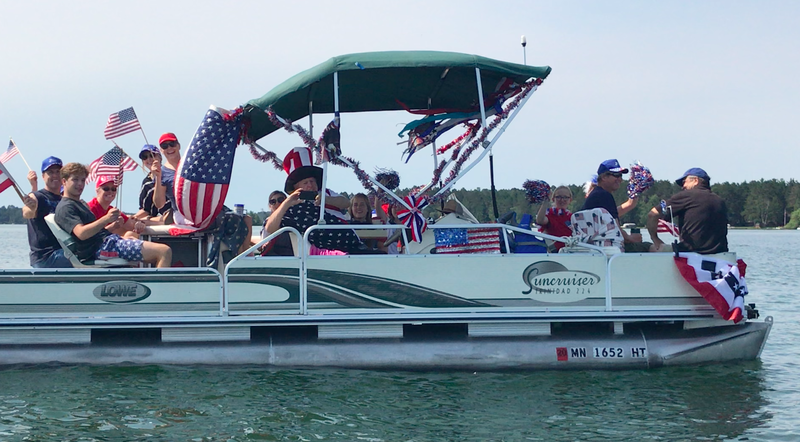 Below are pictures from 4th of July Week activities. A few boats came out for the Flotilla despite its cancellation due to the threatening weather. 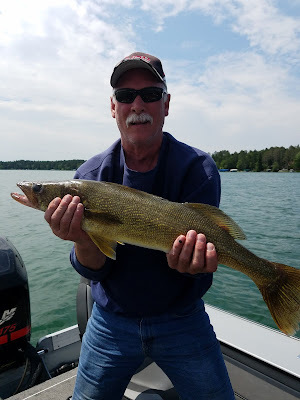 Largest Walleye for David Rix. 29.5 inches ( without pinching tale) caught on Wooters Point. How Creative Can your Family Be this Year?